Xiaomi’s been in the smartphone business for six years, and almost all of its smartphones run MIUI, the company’s custom Android skin. MIUI adds features you won’t find in stock Android, but be that as it may, many phone enthusiasts have been waiting a while for the Xiaomi to release a smartphone with stock Android. 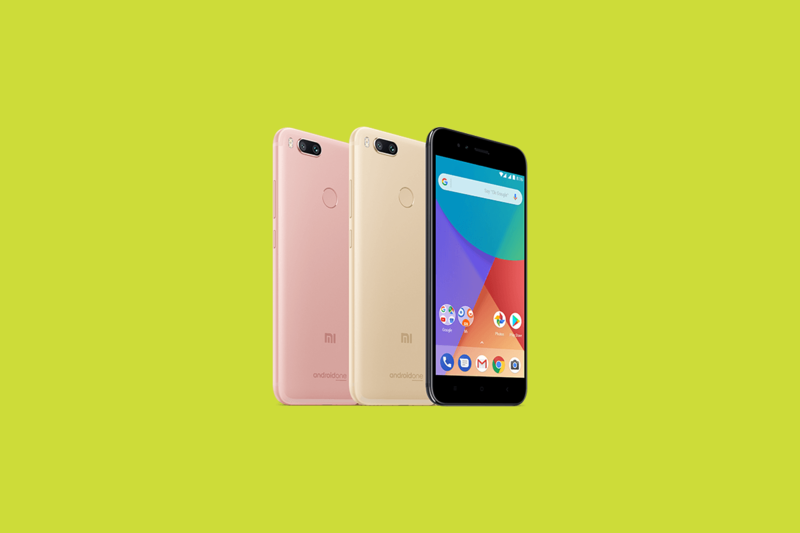 The company finally delivered with the Mi A1 in September, its first Android One smartphone, and recently announced a security patch for the Mi A1. The Mi A1, for the uninitiated, has capable hardware, including a Qualcomm Snapdragon 625 system-on-chip, 4GB of RAM paired with 64GB of storage, a 5.5-inch Full HD IPS display, a dual camera with two 12MP rear sensors, and a 3080mAh battery. It’s powered by close-to-stock Android 7.1 Nougat, with only a few custom additions such as the MIUI camera app. The Mi A1 launched with Android Nougat, but Xiaomi promised that an update to Android Oreo would roll out before the end of the year. At the start of this month, it began recruiting beta testers for the update, and it finalized the new firmware two weeks ago, which brought with it Google’s December 2017 security patch, a fix for the KRACK exploit, and support for fast charging via the OnePlus Dash Charger. 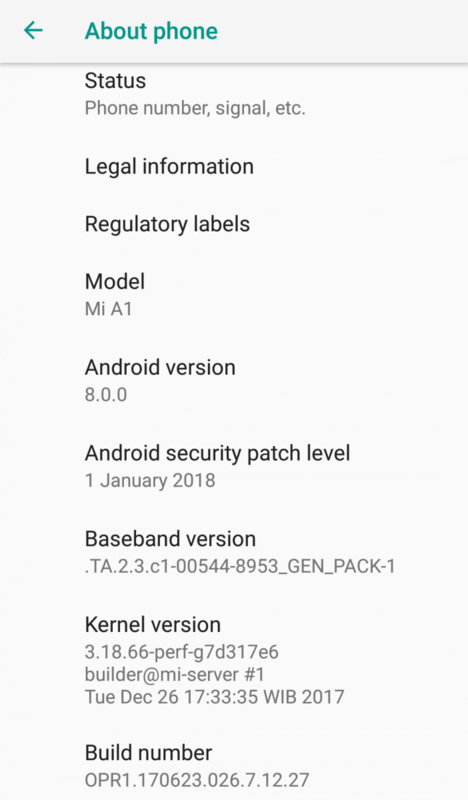 Now, in an interesting turn of events, Google’s January 1, 2018 security patch is reportedly being rolled out to beta testers of the Mi A1’s Oreo update. That makes it the first device to receive the January 2018 security patch — not even Google’s Pixel devices have gotten it yet. We don’t know if the rollout was intentional or in error, but the screenshot above shows that at least some users are receiving the newest patch. It’s worth noting that as of publication time, the details of the January 1, 2018 security patch are unknown. If you missed out on the Oreo beta sign-up, good news: There’s a way to install the Oreo beta without losing data. Thanks to XDA Junior Member rns007 for the tip!